The Assassin’s Creed Unity launch was a bit of a disaster, as I covered in an earlier article. 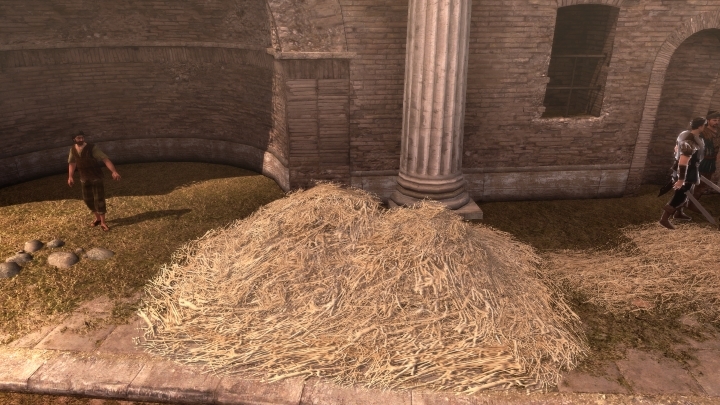 And Ubisoft recently released a rather big patch, which fixed an enormous amount of bugs. 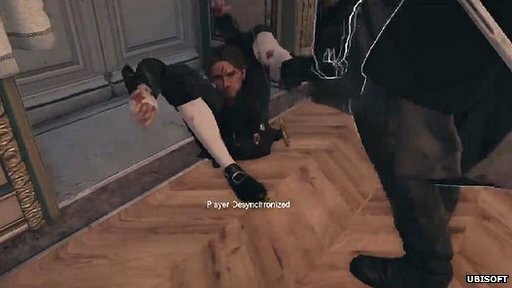 If one thing is clear is that the game was not ready for release, and there were bad reactions all around, from investors (Ubisoft’s shares took a plunge after the launch), from disgruntled users who could not play the game properly, and from the gaming press. A Forbes writer even argued for a recall of the game and Ubisoft refunding gamers. But at least Ubisoft tried to compensate by offering the forthcoming Dead Kings DLC free of charge to owners of the game, and by letting those who paid for the Steam Season Pass pick a free Ubisoft game (Far Cry 4 included). A letter of apology from Ubisoft’s CEO Yannis Mallat was sincere and heartfelt. And it is not that those Assassin’s Creed Unity bugs and glitches were truly hilarious, involving all sorts of crazy happenstance in revolutionary Paris. Here follows some of the funnier bugs and glitches in the game. Where did my face go? The Assassin’s Creed series has always been known for the well-produced cutscenes that advance the story. And there is a lot at stake story-wise in Unity, as it is set during the French Revolution, a key period in European history. So having character’s faces disappear during cutscenes, leaving only eyeballs and a jaw, does not help matters at all! As a matter of fact it can even ruin the romance between protagonist Arno and his lover Elise, turning a sweet moment into a freak show. A rather funny bug involved Arno falling through the ground and getting stuck in what appears to be the middle of nowhere. But taking into account that one of the game’s gameplay novelties was letting players visit another time period, maybe more than one gamer thought that Arno had gone through some kind of inter-dimensional portal that would take him to another era… but he ends up in limbo actually. Time to reload the last save. Anyone who took a look at the above screenshot might think it was a shot from John Carpenter’s horror film “The Thing”. 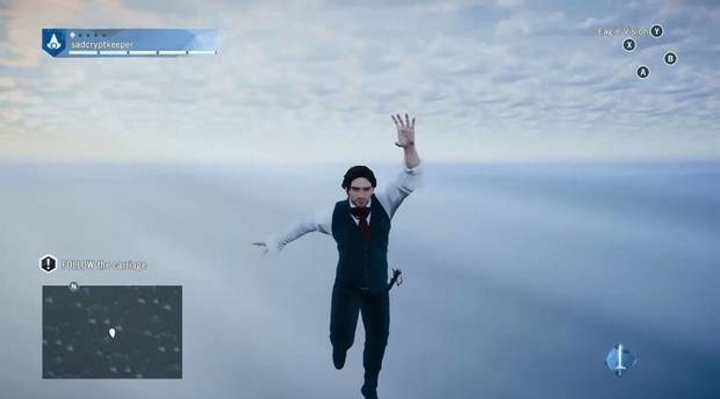 But no, it is another of Assassin Creed Unity’s bugs. 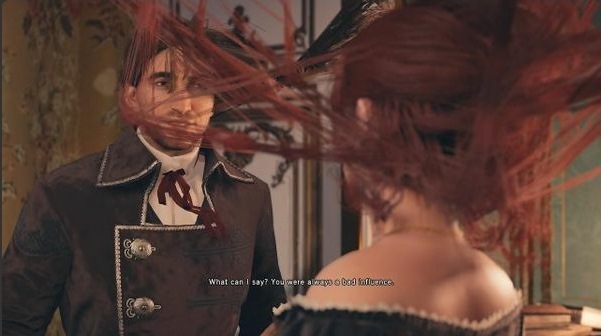 Arno and other characters end up turning into monstrosities due to some glitch in the game’s code. But the funny thing is that other characters in the game don’t react at all, and keep conversing with him like they are in some kind of dark humour comedy. One of the great moments in the Assassin’s Creed series involves climbing a tall monument, such as the Notre Dame Cathedral in Paris, surveying the beautiful surroundings, and then performing the series iconic leap of faith. You usually land in a haystack, and then continue your adventure. But not in Unity. Like an overanxious lover the sticky haystack will sometimes not let you go. “But I have Templars to deal with!” you scream. But to no avail, so it is reload time again. Given that Unity is set in the 18th century, we must take into account that noble Parisian women were known for their elegance, dress sense and beautiful hair. So you would expect Elise, Arno’s lover (she is more than a damsel in distress don’t get me wrong) to look the part. But sadly a glitch in Unity can make her hair crazy, like she just had it done by a drunken hair stylist fond of spider webs.